I’m always interested to see what other runners are wearing to get their best performance. I generally order all my kit from Sportsshoes.com – maybe not the latest season kit but good enough for the price. So since Christmas this has been my gear. 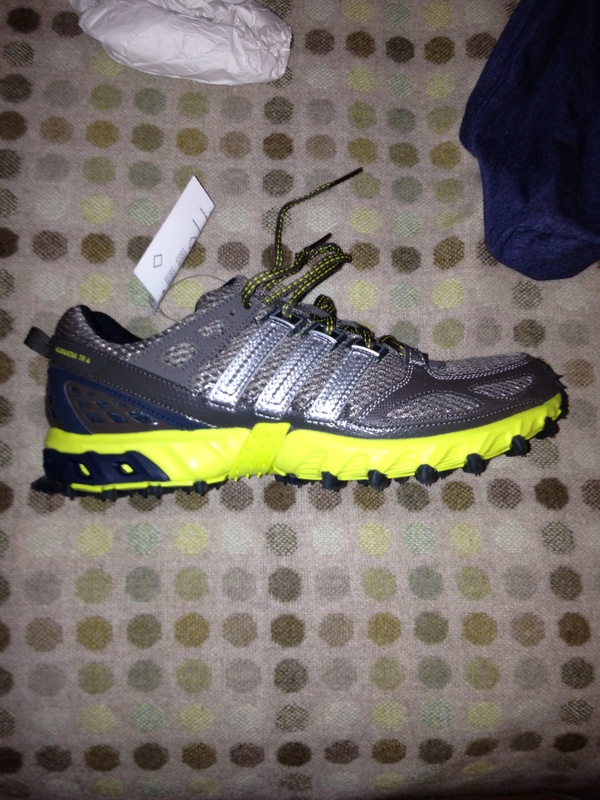 Adidas Kanadia Trail Running Shoes. I also wear a pair of Saucony for longer runs. Both are neutral step shoes. I find the Adidas hard on the feet and even though I am a size 8 in the Saucony, I’ve had to get a 9.5 pair of Adidas. All Adidas at the moment. Before Christmas it was all Ron Hill. 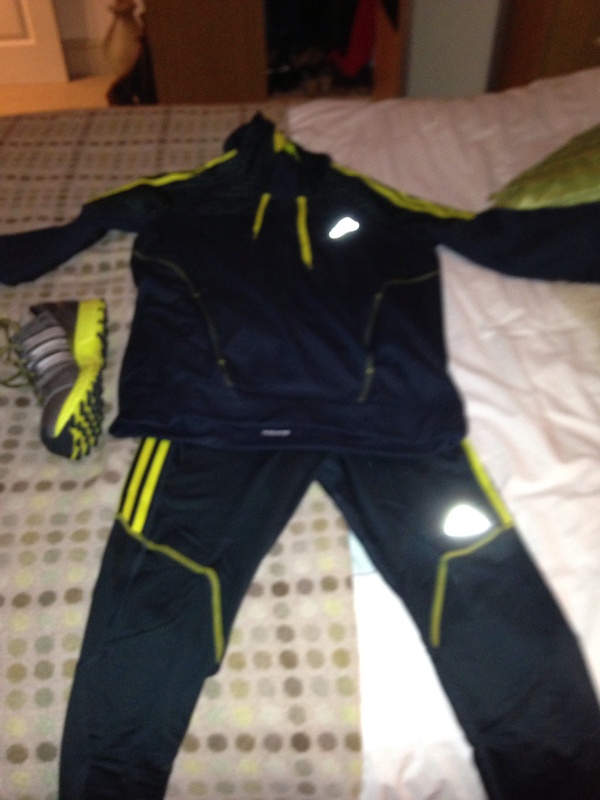 So we have some Adidas Response Running Tights (very comfy) and an Adidas Response Icon long sleeve hoody running top. The only problem with these items is where to put my iphone when running. The tights do not have a large enough key pocket. Anyone bored yet? Underneath all of this I generally wear a Skins compression top to keep me warm with a loose Ron Hill running top. All very comfy. Socks wise – problems here as I usually wear normal day/office socks. Time to get some running ones. As I don’t run massive distances at the moment I drink SiS Go Elextrolyte powder before and during a run. This seems to do the trick. Only once did I try a SiS supplement after 40 mins of running. Within 10 minutes I had to stop after the worst pain ever in my stomach. Almost like a stitch. So at the moment I do not supplement. Not sure what to purchase next. Socks I think and some shorts for the summer.